Today's Arab world was created at breathtaking speed. Whereas the Roman Empire took over 200 years to reach its fullest extent, the Arab armies overran the whole Middle East, North Africa and Spain within a generation. They annhilated the thousand-year-old Persian Empire and reduced the Byzantine Empire to little more than a city-state based around Constantinople. Within a hundred years of the Prophet's death, Muslim armies destroyed the Visigoth kingdom of Spain, and crossed the Pyrenees to occupy southern France. This is the first popular English language account of this astonishing remaking of the political and religious map of the world. 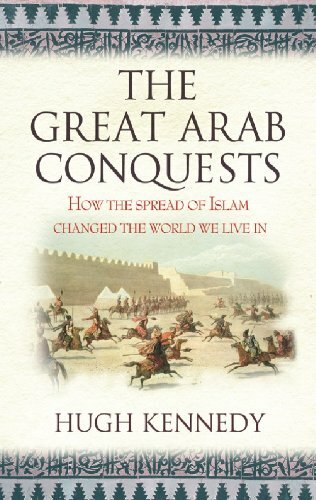 Hugh Kennedy's sweeping narrative reveals how the arab armies conquered almost everything in their path. One of the few academic historians with a genuine talent for story telling, he offers a compelling mix of larger-than-life characters, battles, treachery and the clash of civilizations.